Nothing beats a long Friday lunch at the Saracens Head Hotel. Head Chef Ben Smith knows his way around the kitchen and will certainly cook up a meal that you’ll enjoy. We’ve written plenty about this gem of a pub in recent times, so we’ll get straight into the food. 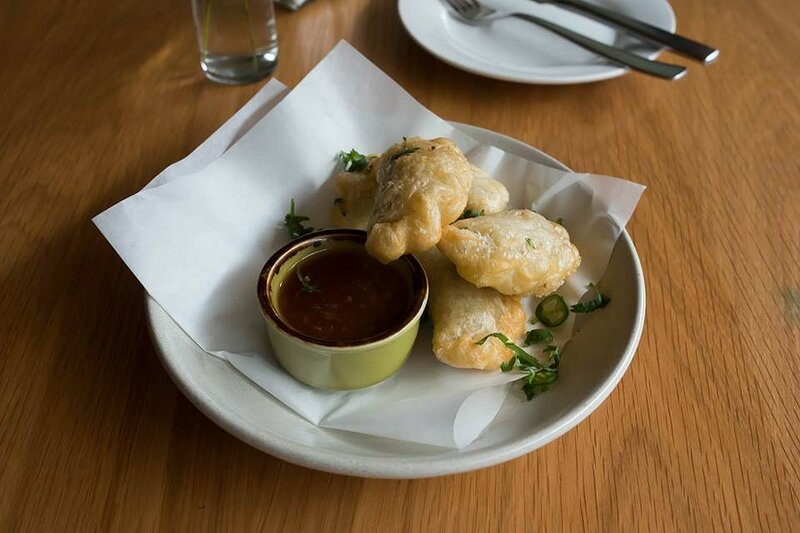 Curry Puffs – These delicious Curry Puffs are part of the bar menu. Served in a light and flaky pastry, these bites of goodness contain mildly curried vegetables in the centre. Served with an Asian style dipping sauce, this was a perfect way to start off proceedings. Beef and Cheese Burger – Sometimes the simplest burgers are the best and this is a great example. A nice thick, juicy patty this is loaded with smokey flavours. The addition of pickles, mustard and ketchup add a bit of contrast to the burger. 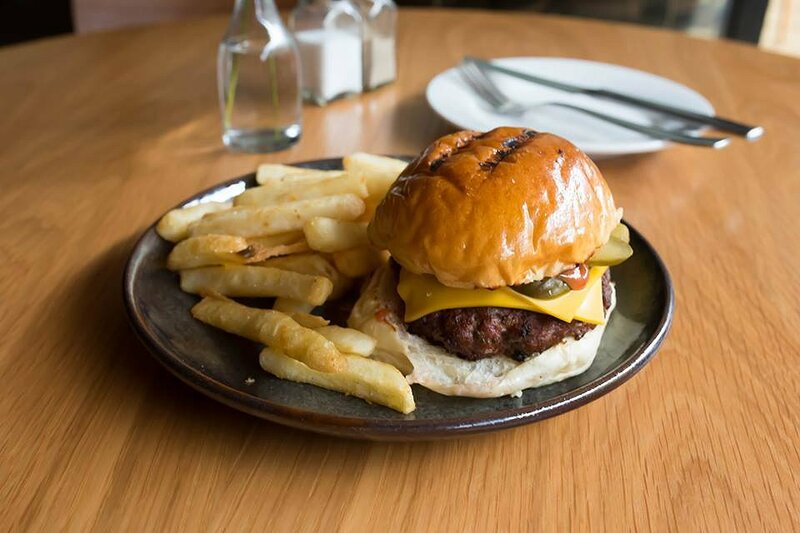 The thick and shiny brioche bun holds everything together well. 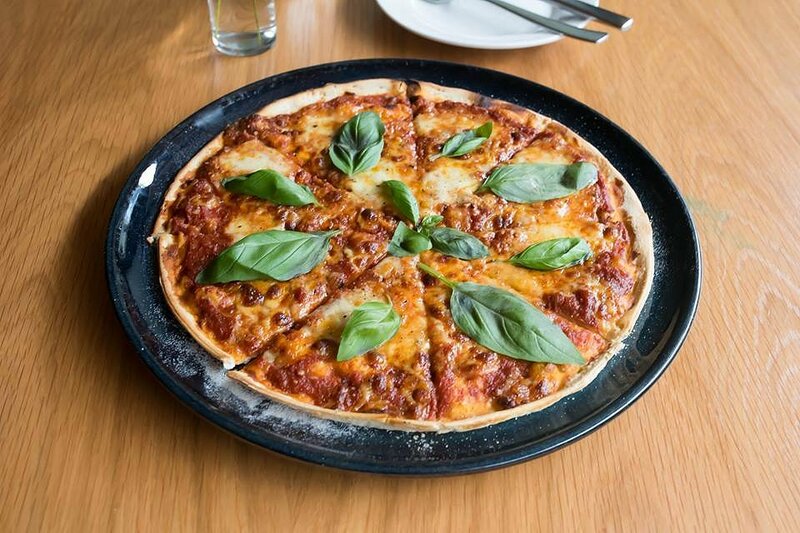 Margarita Pizza – A classic pizza topping cooked in their outdoor wood oven. Generous amounts of cheese are applied onto their sweet tomato base. The basil makes the pizza fresh and minty. The pizza base is nice and thin, and consistent throughout. Crispy Squid – Generous amounts of perfectly cooked squid are fried in a light, crispy coating. 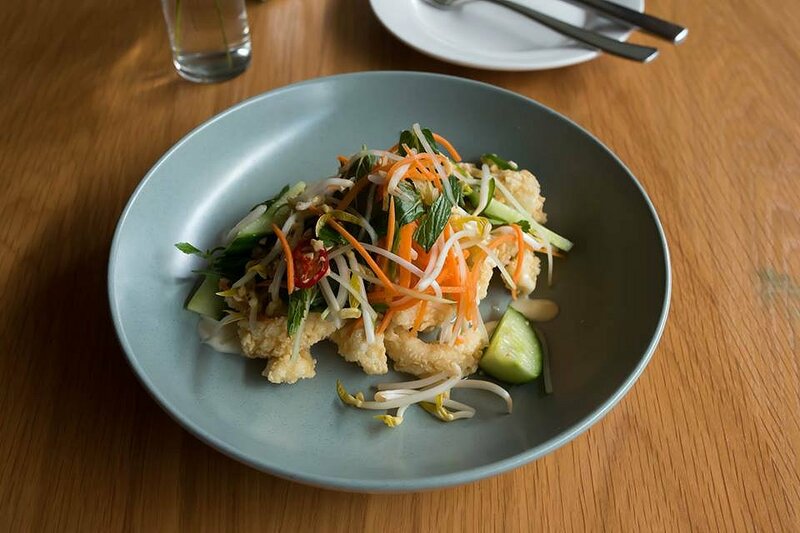 Served in a refreshing Vietnamese salad, the Asian influences of this menu come to the fore. 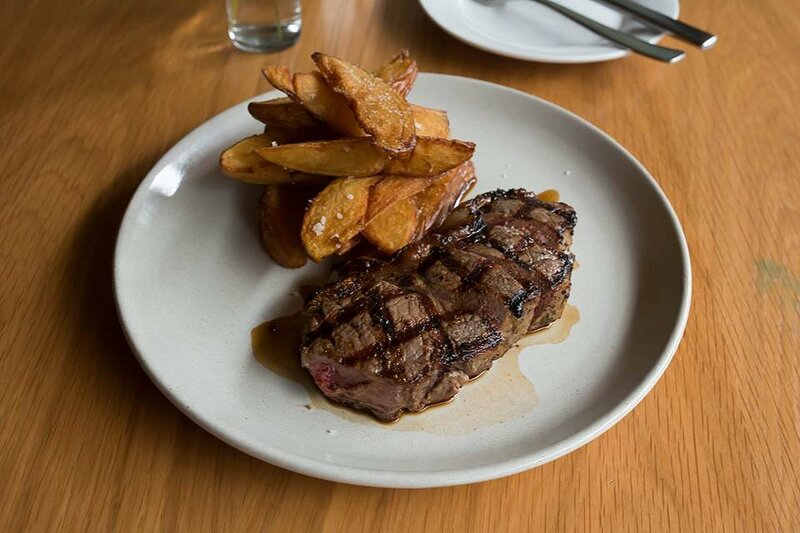 Butchers Cut – The steak was thick and juicy, and cooked to the specified medium rare. There are lovely char marks on the outside while the inside still retains its pinkish centre. The red wine glaze adds good depth to the dish, while the duck fat potatoes are a perfect accompaniment. Smokey American Pork Ribs – What would a visit be to the Saracens without having their amazing pork ribs? 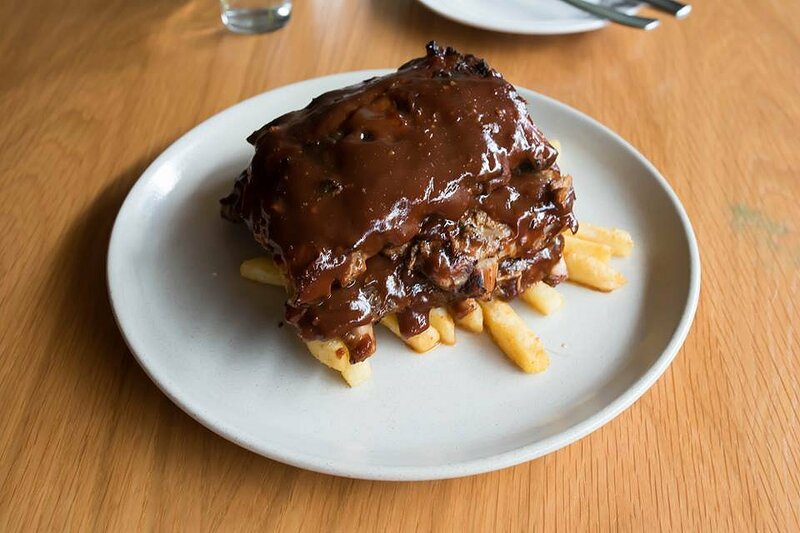 The ribs are juicy and succulent, and the meat simply falls off the bone. The sauce is nice and sticky, while not being overly sweet. Sitting on a bed of crunchy chips, this is a dish that will satisfy most appetites. Yet another amazing meal at the Saracens Head Hotel. We love this place so much, we keep on coming back. Special thanks to Chef Ben Smith and the team at the hotel for their kind hospitality. If you haven’t been there yet, you better get on to it!